I had the pleasure of interviewing Brandon Reed was born and raised on the westside of South Bend, Indiana. He started creating YouTube videos in July of 2014. After spending a year watching tutorials, he began creating animated cartoons. At the end of 2015, he went through a really tough time in life, which left him sad and depressed. After months of being down, he decided to get back to animating. A month later, he landed in ICU in the hospital. At this time, he was gaining a small following on YouTube with 6,000 subscribers. After recuperating from multiple surgeries, he realized it was time to take his passion to another level. He began making YouTube videos again. In August of 2016, he collaborated with Ron Bush also known as RonboiTv on a cartoon called “Lil Ron Ron.” The video gained over 1 million views on Facebook. Today, Lil Ron Ron has a huge fan base and has over 100 million watchtime views on YouTube. Brandon has over 1,000,000 + subscribers on YouTube. He is the proud owner of Cartoon Connect, LLC and co-owner of Lil Ron Ron, LLC. 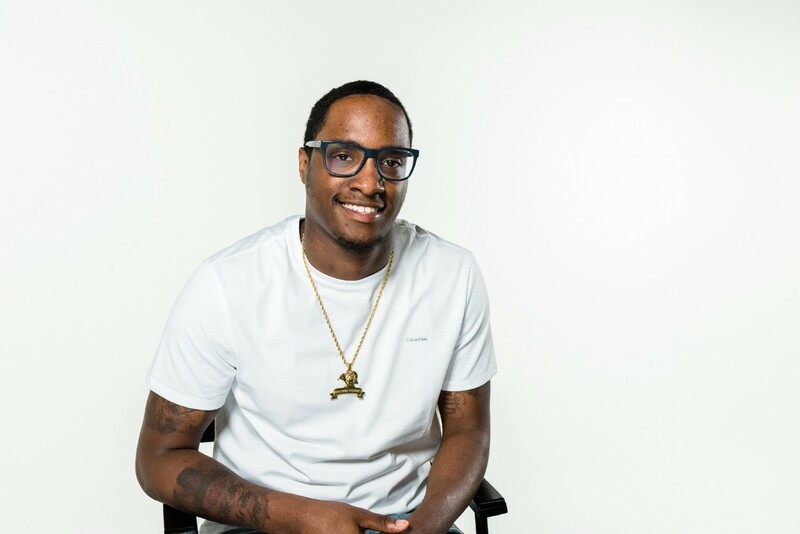 He customizes sneakers, creates animations for individuals and companies. As a social media influencer, he does co-branding opportunities with various companies. Brandon is a single father with two kids and enjoys making a living off of his passion of animating. -A couple years back I was going through a really hard time in my life, Being a single father with two kids had gotten really hard. So I had to figure out a way to make sure that they were taken care of, so I started doing artwork and cartoons in my free time. I would ocassionally post them on the internet and get people who would ask me if I was selling them. So I started doing free lance artwork, after awhile of doing that I started posting animations on youtube. One of the cartoons that I animated ended up going viral on facebook. So I continued to make cartoons until it became my fulltime job. – The fact that I do so many different things like artwork, animations, and custom shoes. – Yes, I am working on a motivational film on how I went from sleeping on the floor to having one million subscribers on YouTube. Never take the joy out of what you do. – Eric Thomas, The reason why is because when I was going through the hardest times in my life, hearing his motivational speechs helped me get through those hard times.